She stepped back and replied, “You’re not one of those schools-with-no-walls, are you?” Who gets it and who doesn’t. We talk about our passions, they just come up in conversations. sometimes we don’t even realise. On the weekend I briefly met a young woman in her 20s who turned out to be English teacher from an inner London Academy. Once she heard about my work and why I was in the UK she stepped back and replied, “You’re not one of those schools-with-no-walls, are you?”. To her, the prospect of open space, students owning their learning and no longer teaching from the front sounded like a nightmare. As an observer of people I take note of responses when I talk about what I do and tell them about Northern Beaches Christian School in Sydney. I anticipate reactions, quite often from non-educators: “I wish there was a school like that for [insert name/me].” From educators, It seems that they are polarised in the response, either love it or hate it. A little later on the same day over lunch I was sharing this story and telling some non-educator friends about what I believe about learning. They got it. 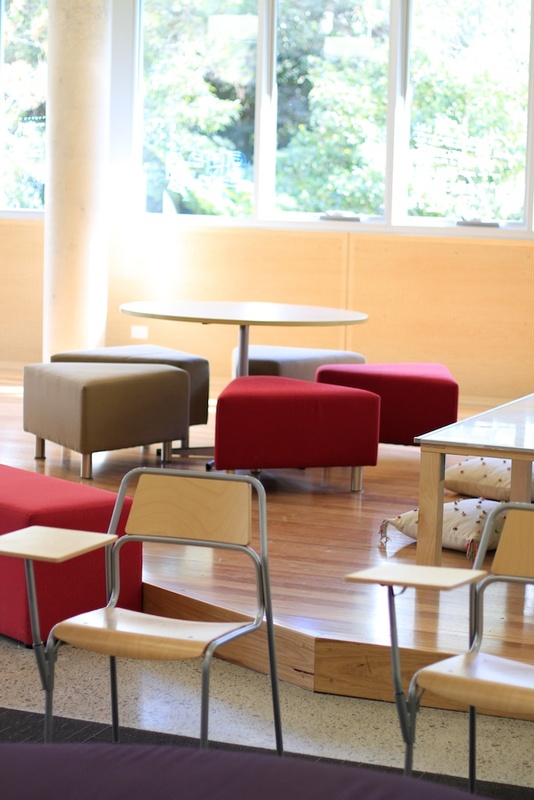 Project Based Learning, flipped learning, choice, personalised approaches and comfortable surroundings made sense because they knew too many people who have been let down and alienated by conventional schooling. Many of my peers, whose children are now adults, often tell of those who felt disconnected from school. They were either creative in the performing and visual arts, or were just not that conventional. My friends could see how the open and flexible spaces, focus on learning and the learner and the opportunity to develop an individual’s strengths would make a difference. I am travelling alone at the moment so its easy and fascinating to eavesdrop conversations at restaurants while I stick my nose in a book. At the next table a father and daughter were discussing the preparation year for the final GCSE exams to come. After they talked about study and a whole range of things the dad said, “you need a strategy for the last 15 minutes of the paper. Work out how you will answer the multiple choice questions that you won’t get to, within the limited time. Have a plan, just do A, B, B, C, C, C, D…” or something like that. Obviously, the purpose of the assessment was to maximise marks, and not show learning. This dad didn’t get it because the school system doesn’t get it (because maybe the government doesn’t get it). Educators generally seem to be polarised on the subject. Whether it’s because open learning had (apparently) been tried and then failed in the 1970s or they are skeptical about opening up the spaces, giving freedom and embracing a different role. Just like the young teacher I met, monumental change just feels impossible. On the other hand, there is a growing tribe of devotees to a new paradigm for school. Like us, they have seen young people switched onto learning, the significance of the high stakes relationships between the teacher and student and the quality of work that the student’s achieve. Assessment becomes a meaningful part of learning. What would help the young English teacher change her paradigm? I explained to my new friend that this is a process. Obviously we can’t just push out the walls, throw in the kids and the teachers together and hope for the best. There must be support, encouragement, challenge and time. However, none of these things will work unless there is vision to show the way forward. Young teacher’s sceptical comments on progressive schools is alarming. Regarding the father’s advice to his daughter on how to maximise marks in an exam- Anne- you should come to India ! Not just parents, teachers and schools also specialise in ‘coaching’ for marks. Two years ago we had some reforms in our national education system wherein the pressure on students was reduced by changing the evaluation in the Grade X Board exams. Sadly,most schools,principals and teachers are not happy about it. They would rather have students evaluated for their knowledge in a subject matter than in their attitudes.